Because these symptoms are often subtle and non-specific, it’s quite normal for patients to simply not complain about them. That’s why many doctors will describe the symptoms and ask if any of these symptoms “sound familiar” to the post-car accident patient. 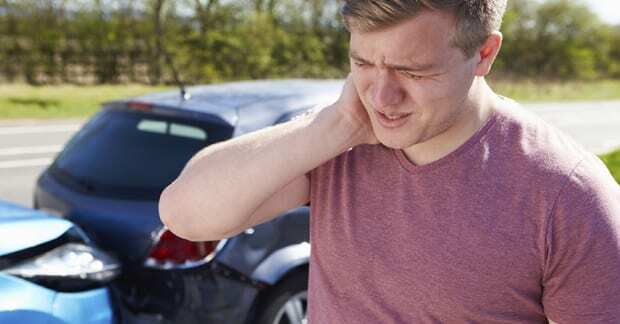 As pointed out above, patients with Mild Traumatic Brain Injury (MTBI) don’t usually mention any of the previously described symptoms and in fact, may be embarrassed to discuss these symptoms with their chiropractor or physician when they first present after a car crash. This is because the symptoms are vague and hard to describe and many feel the symptoms are caused by simply being tired or perhaps because they’re upset about the accident. When directly asked if any of these symptoms exist, the patient is often surprised there is an actual reason for feeling this way. The cause of MTBI is due to the brain actually bouncing or rebounding off the inner walls of the bony skull during the “whiplash” process, when the head is forced back and forth after the impact. During that process, the brain (which is suspended inside our skull) is forced forwards and literally ricochets off the skull. Most commonly this can damage some of the nerve cells in the brain stem (the part connected to the spinal cord), the frontal lobe (the part behind the forehead), and/or the temporal lobe (the part of the brain located on the side of the head). Depending on the direction and degree of force generated by the collision (front end, side impact, or rear end collision), the area of the brain that may be damaged varies as it could be the area closest to initial impact or the area on the opposite side, due to the rebound effect. Depending on which part of the brain is injured, the physical findings may include problems with walking, balance, coordination, strength/endurance, as well as difficulties with communicating (“cognitive deficits”), processing information, memory, and altered psychological functions.